The 2019 Victorian Open Championships begins on Friday, but is missing several of the big-time names that competed at this same competition last year. 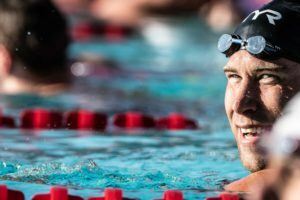 In 2018, we saw the likes of Emily Seebohm, Maddie Groves, James Magnussen, Kyle Chalmers and Jack Cartwright take to the MSAC pool in preparation for the Commonwealth Games Trials several weeks later. 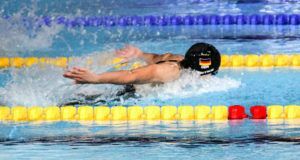 This time around, the field is much slimmer, perhaps due to the additional racing opportunities presenting themselves in the form of the FINA Champions Series, as well as the fact that athletes may be saving their swims for April’s National Championships. Regardless, spectators will still be treated to Cameron McEvoy, Mack Horton, Jessica Hansen, Kotuku Ngawati, Sian Whitaker and Sophie Caldwell over the course of the 3-day meet. Foreign talent making its way to Melbourne includes Malaysian National Record holder Welson Sim and New Zealand standout Helena Gasson. Unique to the 2019 edition of the Victorian Open Championships is the fact that it is incorporating the Melbourne 2019 World Para Swimming World Series. This is the first World Series event ever held in the Oceania region and brings the total number of swimming events to 64. Multi-class aces Rowan Crothers and Lakeisha Patterson are just 2 of the para swimming stars ready to take to the MSAC stage this weekend. When will we see Ariarne Titmus competing in LCM? 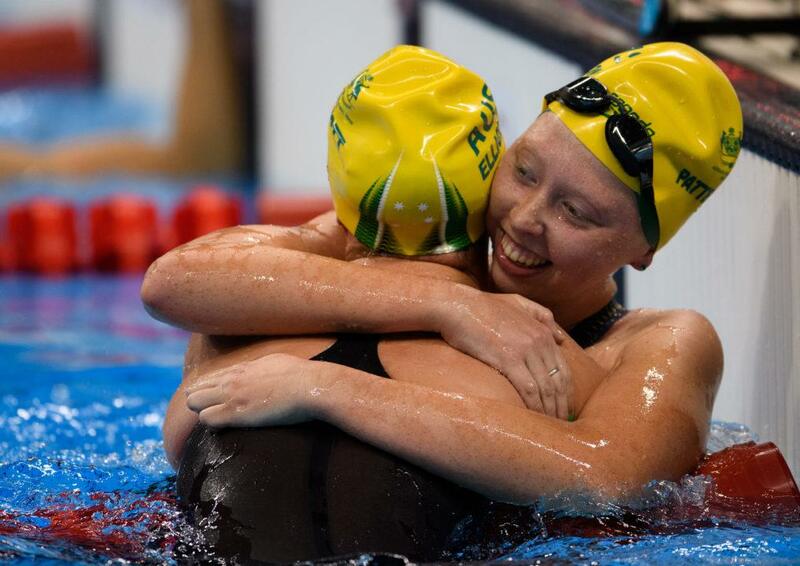 She is the only mystery of Australian swimming right now. After exceptionally successful 2018 season there is a question if she continues to progress at same pace this year. I really feel sorry for the USA’s genuine S7 para-swimmers both McKenzie Coan and Julia Gaffney. The IPC needs to urgently investigate this truly and disturbing matter, before this unlawful individual, decimates the international female S7 para-swimming category!!! Results says Jones was S7 for the heat and S8 for the final. Looks like she has been classed up to S8 during the ‘observation during competition’ part of classification. Not really such a bombshell after all. She effectively remains an S8 and hasn’t decimated the world with either her S7 heat or S8 final performance. What happened with Elliot’s Stella Audition for a S9?? 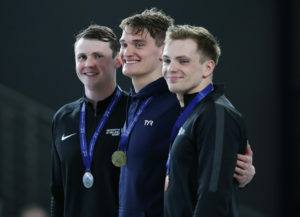 Do you think the Commonwealth Games S8 50free Silver medalist or the SB9 100breastroke Bronze medalist and their coaches also ‘predicted’ these classification changes? I understand some of your points but think you are far too dismissive of the real cost of these classification shenanigans and that is to the athletes (on both sides of the classification coin), their coaches and those who fund them. In more swings and roundabouts, Sophie Pascoe appears to be competing as S10 again. Good to see this topic discussed openly and not kept underwraps in the dark though. So 99 you are obviously another disgruntled Aust Parent seeking personal info on a classification!. You people are SO SICK. This is what your life has come to Bullying Athletes. Shame on you following Mark and Franks lead. Why not be different and mind your own business and consentrate on your own Athlete! I would’t necessarily assume that everyone commenting is Australian. My interest is piqued. Why would it matter to Para-athletes if the medical documentation required for their classification is deemed non-confidential? It forms part of their resume after all – and everything on a resume can, and should, be validated. Why would they even care when their ‘disability’ is on view globally anyway, no disrespect meant. Couldn’t agree more Oompah. What is the point of the secrecy? These people are declaring to the world that they have a disability and usually have the nature of the impairment on their athlete bio and often on social media as well. Either the physical presentation aligns with this or in some cases it doesn’t. There should be nothing to hide. Stop cheating and then we can look after genuine para swimmers , S9 not such a nice classification is it !!! How many protests did you lodge ?? Not looking good for Tokyo now is it and how long before Australia drop swimmers with no medal hopes. 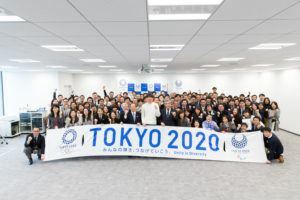 Looks like the GB cheats will clear up in Tokyo so so glad my daughter has been talent spotted for another sport but saying that any genuine para athlete is happy to compete when it’s fair can your daughter say the same !!! Once again brilliantly stated Mark!!! Interesting. My first thought was MSP Fred, but I think the scenario as you have described it is simpler than that and driven by the oldest motivator – money. Mainly probably, and possibly some sort of warped vicarious living through the child. FRED that definitely sounds like, the former S10 swimmers mother!!! An overwhelmingly amount of para-swimming athletes,coach’s and other parents think this mother suffers from Munchhausen’s disease by proxy!!! Christian If, as you claim, an ‘overwhelming’ amount of coaches thought that this mother suffered from MSP, then where was/is the duty of care for the athlete from Australian Sport authorities? Surely, statistically, they would have had to have been alerted of the potential abuse from an ‘overwhelming’ amount of previous coaches? Brilliantly stated FRED, it sounds like you are referring to the former Australian S10 swimmer??? Exactly that Fred!!!! I would like to see someone explain why there is a multitude of photos on social media that show open hands in recent years to closed ones and videos that go from heel strike to toe walk. This does not make a lot of sense but the strangest thing is that Para Swimming have not acted on this information. Meanwhile one of the greatest Paralympians of all time Sophie Pascoe is reclassified S9. The Aussies are too busy tearing strips of each other to notice. Well she’s not an S8 or Aussie, so she’ll slip under Mark’s radar. Maybe an aggrieved S9 parent will pop up and take command of the doxxing and other carry on in his place. I am not a swimming parent, S9 or otherwise, but I am certainly “aggrieved” that Patterson is anything other than IM/ NE. Im confused. What do you mean? Get some sleep Mark!. No one cares about what you have to dribble!. Not even IPC. Bullying Athletes is NOT OK. You’ve been cautioned how many times now. Look after your own athlete!, now there’s an idea!